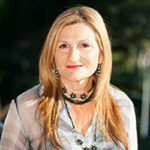 Violet Roumeliotis is CEO of Settlement Services International and a member of Pro Bono Australia’s 2014 Impact 25. Violet Roumeliotis, Thursday, 27th April 2017 - Innovation and the efforts of social businesses, volunteers and civil society give hope to achieving a world where all people have the opportunity and the means to achieve their full potential, writes Settlement Services International CEO Violet Roumeliotis in the lead up to National Volunteer Week. Violet Roumeliotis, Tuesday, 19th April 2016 - In the aftermath of the senseless violence seen in Brussels, the Not for Profit sector has a big role to play in promoting meaningful social and economic participation through employment and humanitarian services, writes Violet Roumeliotis, CEO of Settlement Services International. Violet Roumeliotis, Tuesday, 8th September 2015 - Civil society must lead the way and show that there is strong support for bold action by policy makers in Australia’s response the world’s refugee crisis, writes Violet Roumeliotis, CEO of Settlement Services International.